Boost your visibility with lighting solutions for your 2019 Dodge RAM 1500 from American Trucks. From headlights and taillights for safety to fog lights and auxiliary lights for hitting the trail after the sun goes down, our selection will take your setup to the next level. Your stock headlights get the job done, but let's face it — they're not going to turn any heads. 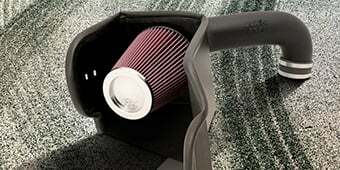 Changing them out for an aftermarket option will help you achieve the look you love, whether it's a stealthy black-out style, a race-inspired feel or a splash of color. 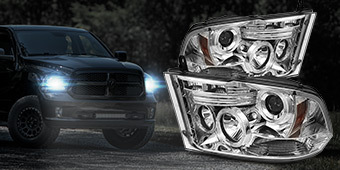 Even better, upgraded headlights can be more efficient and supercharge your RAM's low-light performance. We carry them with options like CCFL Halos, running light capabilities, and even LED accents that put distinctive styling at the forefront. 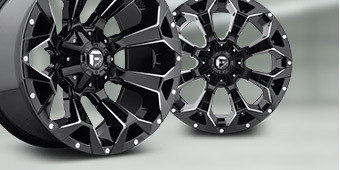 Choose from projector and non-projector models and take your pick between chrome reflectors and black backgrounds. Whatever you choose, you'll see improved visibility, better safety, and a new look. 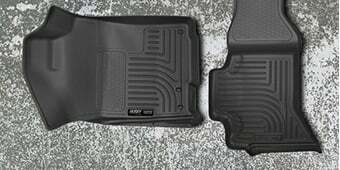 Our Dodge RAM 1500 tail lights and tail light covers are designed to fit your truck perfectly; no retrofitting or ugly gaps like some aftermarket options. 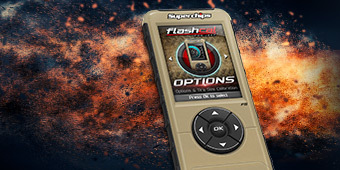 They'll improve personal safety, especially in dark situations and inclement weather. 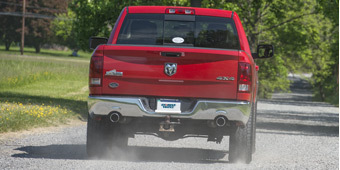 And, of course, you'll find truck tail lights in a design that fits seamlessly with your other aftermarket upgrades. Go for a black-out design if you like that sinister feel, go all red for an eye-catching contrast or go chromed-out for a flashy look. One of the most common aftermarket lighting changes that RAM owners make is adding LED light bars or rock lights. 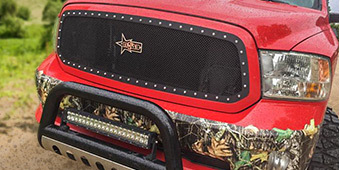 These can be mounted on the bumper, above the cab or almost anywhere you need some added lights. Here you'll find them in sizes as small as two inches and as large as 50 inches. Pick a beam pattern that works best for your application. Spot beams are for light that penetrates far into the darkness, giving you intense illumination down the trail. Driving beams spread the light just like your headlights to provide better all-around visibility and they're designed to be entirely street legal. Flood beams cast an ultra-wide swath of light, making them an ideal choice for worksites or as back-up lights. We also carry combo beams that give you one, two or three beams in one, often with a switch for toggling between them depending on the situation. You'll also find amber light bars. Their amber tint won't reflect off tiny particles like white light, which means they cut right through fog, rain, snow and sand for incredible visibility, even in the harshest conditions. Parking lights can be installed almost anywhere on your RAM and help other drivers see your truck at all times, while fog lights are designed specifically to help you see better in bad weather. 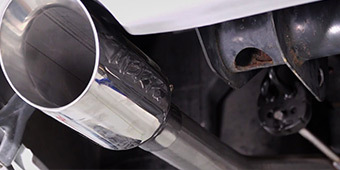 We carry a variety here at AmericanTrucks, along with the mounting brackets for a straightforward installation. Of course, your 2019 Dodge RAM 1500 doesn't just have lights on the outside. Your cab needs illumination, too. That's why we carry a number of aftermarket kits that boost your interior lighting over the stock lights. Best of all, they're equipped with highly efficient, long-lasting LEDs, so you won't have to worry about changing bulbs anytime soon. If you only need to change out the bulb on your stock or aftermarket headlight and don't want to swap out the entire thing, we have you covered. You can replace your current bulbs or even upgrade to LED or HID bulbs, giving you the light you need at an affordable price. 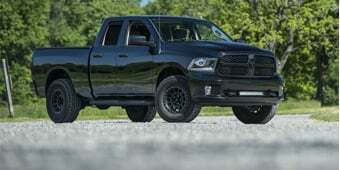 Looking to make entering and exiting your RAM a big deal? Door sills are an often-overlook aftermarket upgrade, but we offer them with LED lighting for cool effects and, of course, increased safety. 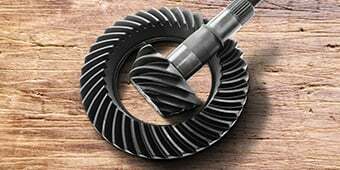 Our customer service reps are passionate about trucks, too, so you know you'll get top-notch service when you need help. And, as always, we offer a 30-day return policy and free shipping on any orders over $75.